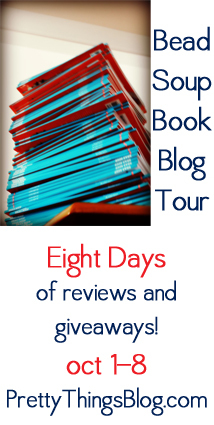 Bead Soup Book Blog Tour Starts TOMORROW! Writing this book was not just about me writing a book. This book is about all of you have participated in the past Bead Soup Blog Party® blog hops, and it's about the talent of the 25 contributors who joined me in bringing this book to pass. 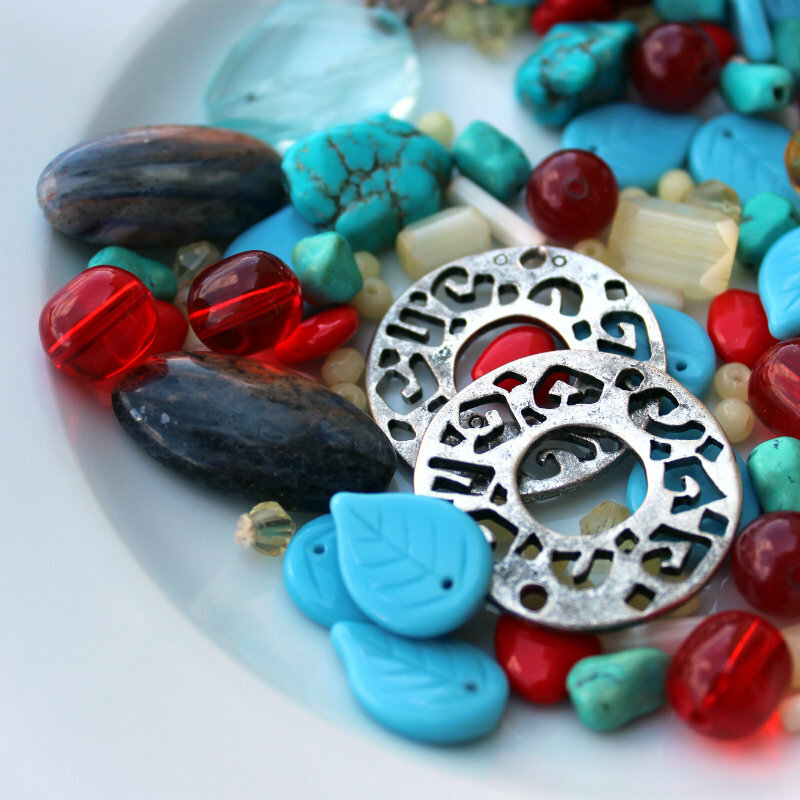 Whether it was their talent for creating beads and soups or their talent for creating jewelry tutorials, everyone is appreciated and should be celebrated -- and that's what this Bead Soup Book Blog Tour is all about. :: Heavy-duty utility apron with "I'm a Bead Souper"
Plus you never know what might end up in the box! without whom it could never have happened. 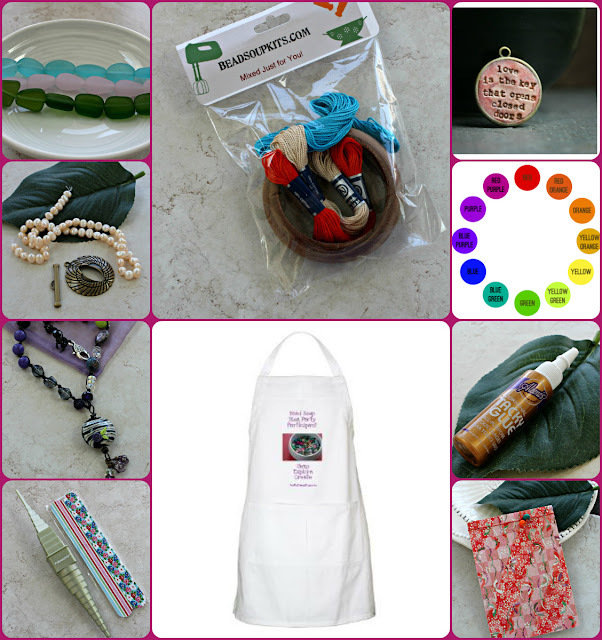 Join her at the Facebook group Bead Soup Cafe for bead chat, swaps, challenges, and lots of eye candy! I had the pleasure of meeting Miss Sarah Sequins at the Bead and Button Show this year. Absolute doll, completely and totally. Working with sequins is a daunting task for a) a person with poor eyesight, b) a person with fiddly fingers, and c) a person with cats. I mention the cats because if I drop a danged sequin, that flipping cat is going to be wearing it. These were a little tough, because I wasn't thinking clearly about what would keep the sequins ON the integrated ear wires. So I twirled the wire a little. Better, but if you toss these in your jewelry box, sequins are still going to dance up those wires like they were on a Flapper's dress. So I dabbed a tinytinytiny bit of glue into the hole of the top sequin. This can be troublesome, because SuperGlue can eat up a vintage sequin if you're not careful. So practice a bit with these. These turned out better. I used two different sizes of vintage sequins (I like the matte color) and stacked them with teeeeeeeeeny tiny silver beads (2mm? The cat is probably wearing a few of those, too, where I dropped them). You have to be careful how hard you "crank" your wire wrap, though, because you can really wonkify the sequins into some wild shapes. My next bout with sequins will likely be spacers in bracelets. I have a few ideas involving thread or linen, but I'm still in the thought process stages of that. 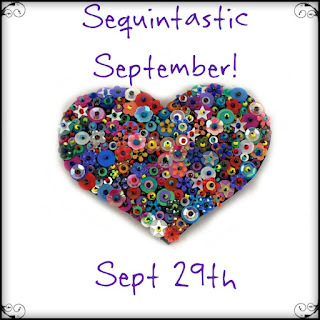 I hope you enjoyed, and please take a look at the rest of the blog hop! Kindness should be, and often is, contagious. As parents we try to teach our kids to be kind, to not hurt feelings, to always be thinking of the other person. And when we smile at someone, that kindness often gets passed on, and on, and so forth. But being kind to YOURSELF should be contagious, too. There are times when I wonder if what I'm doing in The Grand Scheme of Things is a waste of time, and I know there are tons of you out there who wonder the same things yourself as you push yourself to the limit. Perfection absolutely cannot be achieved so let's let that little issue and worry go to the wayside, m'k? And even if things in life always seem to plod along and always be the same, I challenge you that they're not. Last night I lay in bed thinking I'd wasted a day (again), but when I got right down to it and started listing the things I HAD gotten done, the list was pretty decent. And I don't mean heroic things like made 10,000 cupcakes for the bake sale and sewed my own clothes for the next day and cleaned my entire house with a toothbrush (that's next week's list). 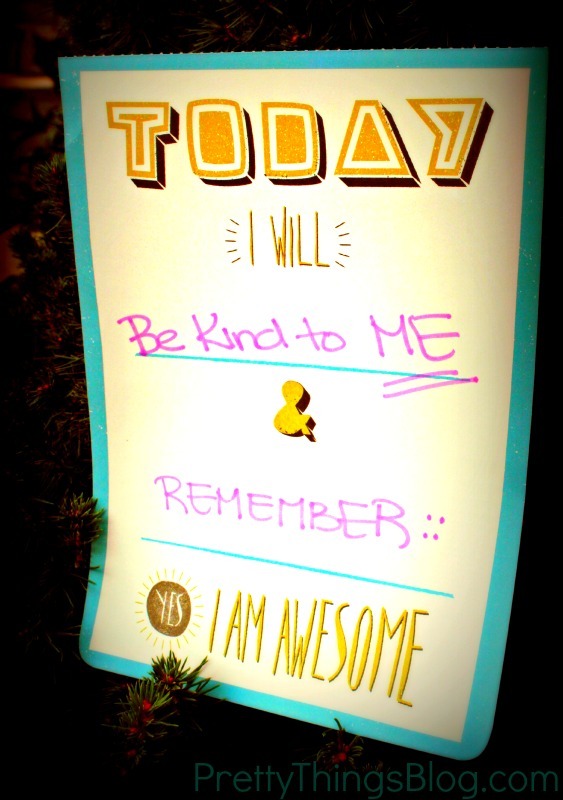 Kindness to yourself should be top-of-the-list, written in big bold letters. Even though it's not a little thing on the list, it's a doable thing on the list, and one we so often forget to do. 1. Be willing to pay 1st class postage to you (this is a light package). 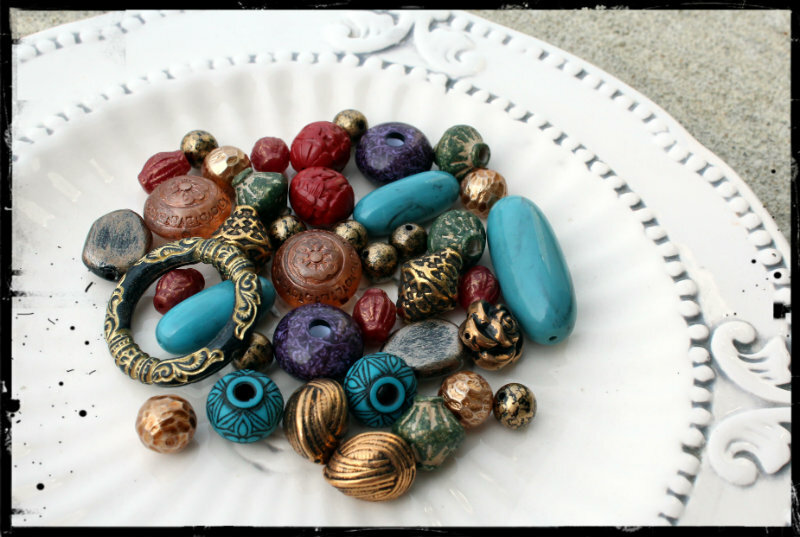 The Beauty of Vintage Acrylic Beads -- Win a Chance to Create With Me! 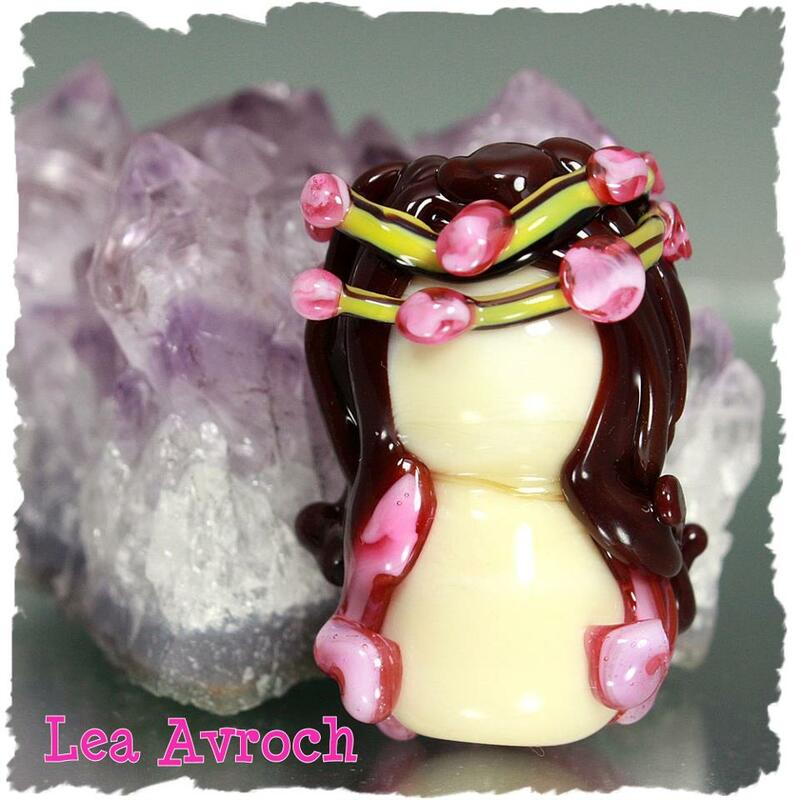 Some people may turn up their nose at vintage acrylic and Lucite beads, but you don't know what you're missing!!!! First, the difference between Lucite and acrylic. Lucite is carved from a rod of Lucite and has no seams. Acrylic is pressed in a mold like some glasses and therefore DOES have a seam. So many people think vintage is all about rhinestones and things like that. Don't get me wrong, I love that, but these beads are accessible and wearable and COOL. 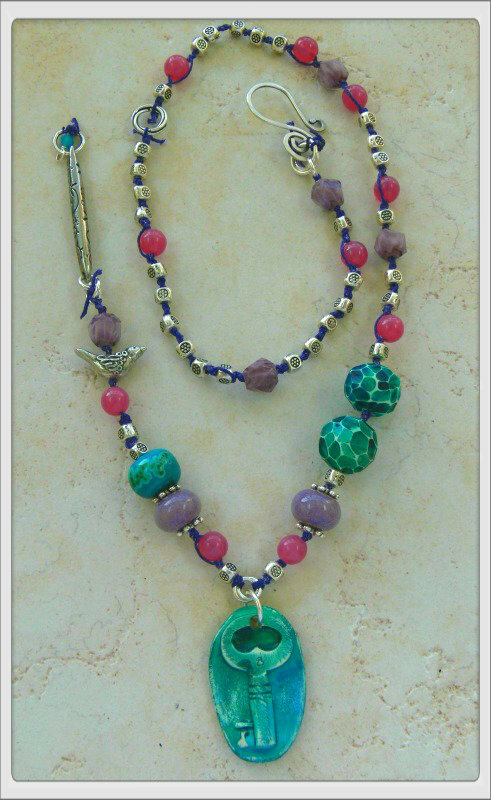 I'm thrilled to bring to you a new Cup of Bead Soup with Bead Happily Ever After. Crystal graciously donated five identical kits (each worth $28, but she's GIVING them to us) -- one for me and four for you -- to make magic with! 1. Comment on this blog with a way to contact you if you would like to participate. Sign ups are September 19-23. 2. Be willing to pay 1st class postage to you (this is a light package). 3. YES it's open to international people! Here's a blog button for you! Just link it back to my blog. Bead Happily Ever After specializes in Vintage Beads, Lucite, Glass, Faceted Crystals, and Cameos - along with a lovely assortment of Vintage Findings, many of which feature Swarovski Rhinestones. Crystal is a beader, too! 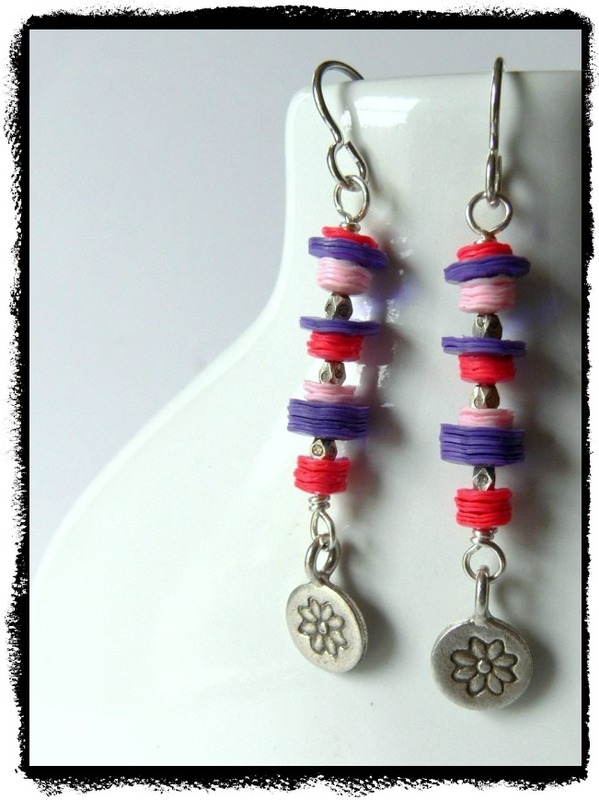 She uses her experience and her passion for vintage components to select the treasures you will find in her shop: http://www.beadhappilyeverafter.etsy.com. I've listed new tutorials for sale (on the right side bar) and you can read about them by clicking here and I'm excited to say Barbara Bechtel of Second Surf (and a bead contributor to the book) has collaborate with me to bring you a kit for one of the tutorials! * star spacers, daisy spacers in pewter and a sterling twisted ring. Click here to purchase the kit! I absolutely can't believe it! Two huge boxes arrived at the door the other night and it is REALLY real! I am officially OUT of pre-order books, but I have just listed extra tutorials (on the right side bar). Three extra tutorials, $10, in PDF form ready to be read online or printed out. 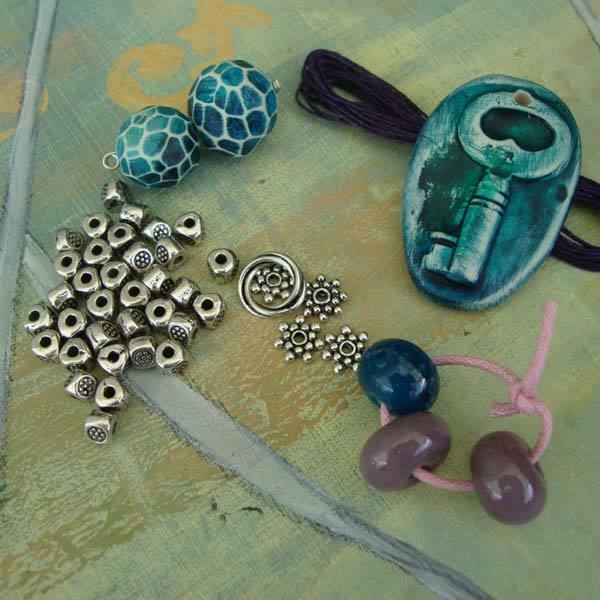 You'll learn how to knot a necklace with waxed linen, make a sterling silver hook clasp, make a leather/strung necklace for holding charms, and two bookmarks with lampwork beads, both sewn and braided. Barbara Bechtel of www.SecondSurf.com has kits for these! Silverstone.It Jewellery wins "Metal Clay Fusion"
Copper Penny Designs wins "Chains Chains Chains"
Sally Russick wins "Dimensional Bead Embroidery"
Creative Atelier wins "Color, Texture, and Casting"
The Eclectic Element wins "30-Minute Bracelets"
For My Sweet Daughter wins "Beading with Crystals"
Sherri Stokey wins "Heat, Color, Set, & Fire"
Yesterday I was honored and humbled by the blog hop some members of my Facebook group put on for me. I was drawn to tears by things people said and I can't believe they started a secret group months ago just to pull this off and I never knew a thing! 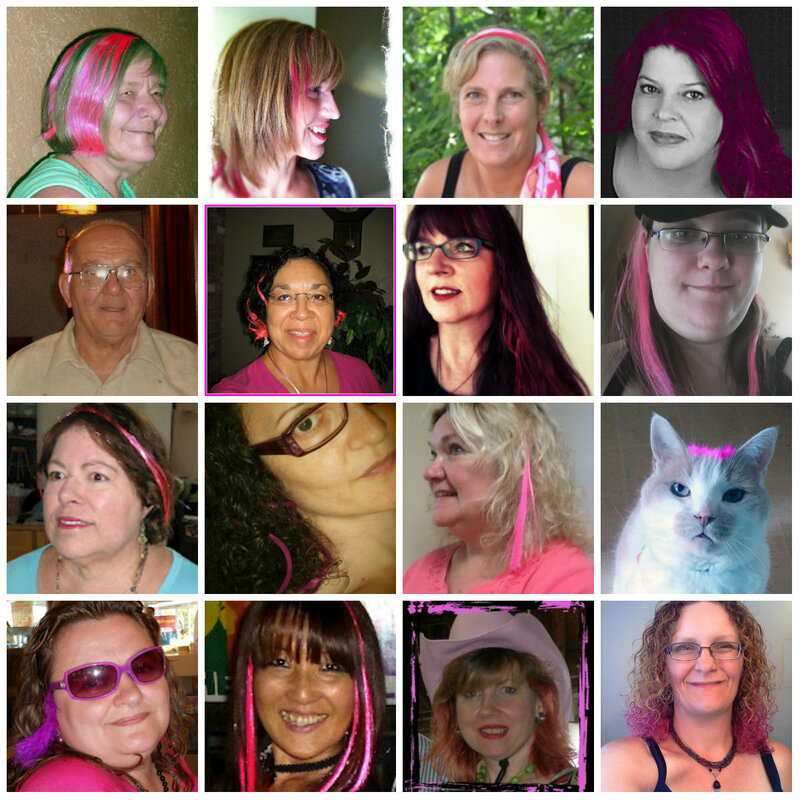 In short, these ladies went "In the Pink" by putting pink in their hair -- either with dye, hair spray, extensions, ribbons, and PhotoShop. There were even pets, kids, and a husband who joined in. You never know how something you do will be taken, or remembered, and I was touched beyond belief. Thank you, everyone. I'm in shock because I woke up this morning to my Facebook group literally wearing pink for me. I'm reading all their blog posts now, will share when I can -- I just wanted to publicly say thank you to all the sweet women who did this. You have no idea what it means to me. Tears. Good ones for a change. Last night I had the honor of being invited to speak to about 60 members of the Baltimore Bead Society. I was asked to prepare a PowerPoint slide presentation to speak for about an hour. I can do that! I've always been pretty decent at extemporaneous speaking, and so using a PowerPoint presentation to aid my thoughts was going to be a splendidly easy thing to do. I arrived at the venue with my computer and bead soup kits and a few copies of the book and a few pieces of jewelry I'd made in various Bead Soup Blog Parties. I knew the group had a lot of regular business to conduct before I ended the night for them with the presentation, but I wanted to get there early -- I'm an early bird. We tried to hook my laptop up to the projector -- and oh dear. My technology was ahead of their technology and we didn't have the right plug to make it all work. NO problem. An absolutely hilarious lady drove me to Radio Shack. Well, we STARTED to Radio Shack, but we were cutting up so much we ended up eight miles in the wrong direction before we realized it. NO problem. We can roll with that. Found the Radio Shack, bought a connector, and zoom, back to the venue. And then the projector didn't like Windows 7. And that's when I started to panic. A little bit. 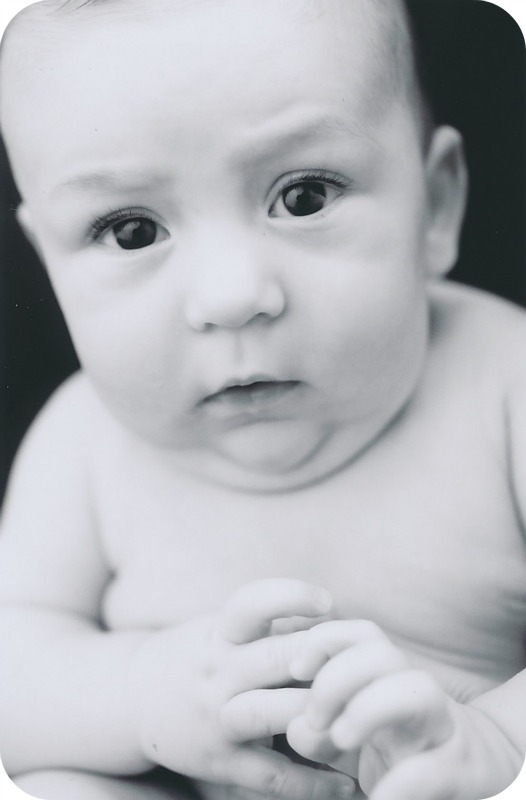 Baby Zack is very, very concerned if mom can pull this off. I sat down and nibbled a fingernail while I watched two people try to make my computer play nicely with the projector. It became apparent that it wasn't going to work at all, and I had about five minutes to come up with an ENTIRELY new presentation WITHOUT the help of visual aids. I frantically thought about the four pieces of jewelry I brought, and what I could perhaps show from the book, and how I'd turn that into a presentation that would entertain a huge room. Five minutes, girl, and you're UP! I have no idea what exactly I said. I do know that at times people laughed (thankfully, not AT me) and there were some REALLY good questions. The entire time I'm talking, I'm thinking of that really GOOD presentation I had that I couldn't even begin to use because how can I talk about design when I have nothing to SHOW? It all ended up OK (I've been told!). I was told by the coordinator that a bunch of people had asked her to get me in to teach (which I love to do). I answered a lot of questions after the event and drove home in a daze. What had I said? Did it come out right? What I DO know is public speaking is definitely not for everyone, and I'm fortunate that I like to do it and have had a fair amount of experience with it. My video about the Bead Soup book, for instance, is completely unscripted. 1) Always have a Plan B. At the last minute, I tossed jewelry in my bag. Thankfully! I also had in the back of my mind one line the coordinator had said in our last email -- see if you can talk a little about the value of blogging and Facebook. Thankfully, that's a subject I can really talk to. 2) If you're going to give a PowerPoint or video presentation, ask the venue to bring THEIR equipment and load yours on a Flash Drive. Or two. Technology is a funny thing -- it gets ahead of a lot of OTHER technology. So be prepared. 3) Remember that you're talking to people, and you're a "people", too. I'll bet that the majority of the ladies in that room were a) so sorry things didn't work out through no fault of ANYBODY'S, and b) were really glad it wasn't them in front of the room. So make a quick joke about it, and move on. You normally aren't asked to speak, and you normally don't ACCEPT the invitation to speak, if you don't have anything to talk about. 4) Chocolate helps. I add that because when it became apparent the computer was NOT going to show my presentation, I was handed a brownie. And believe it or not -- it helped. Not everyone is a public speaker. I enjoyed it in college, I enjoyed it in the Air Force, I USUALLY enjoyed it when I was in IT. If you have a passion for what your subject is, that makes it all the easier. Take a deep breath, come with back up and a joke, and dive in. Ask questions when you find yourself in a "duh" spot and hope the audience will give you another talking point. 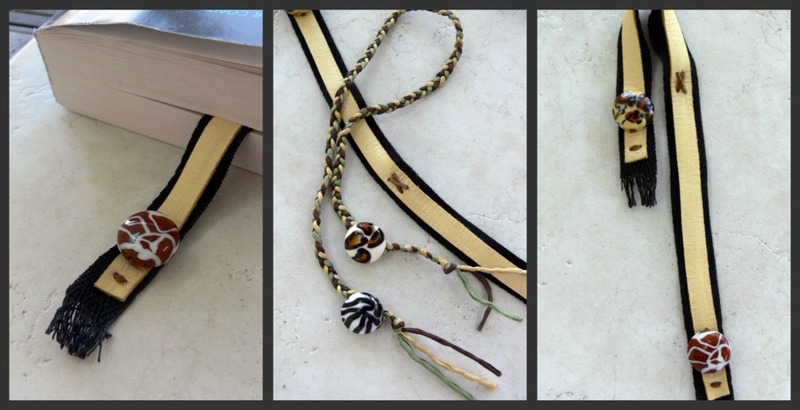 LAST set of Lark beading books to giveaway! The first giveaway is done, but you can still try to win on the 2nd set of books by clicking here. these amazing books to review! NOW! The last three books for review and giveaway! Read up and then go to the bottom of the post to see how you can win! 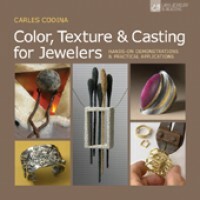 Hands-on Demonstrations & Practical Applications"
Casting is a specialized jewelry technique, so right away you must know this is not your ordinary jewelry book. That, really, is one of the things that makes it so special! I mean, how many times have I looked at a cast piece and wondered "HOW do they DO that???". Now you can learn! This 128-page paperback book is in two parts. Part 1 covers color, texture, and finishes. Part 2 covers modeling and casting. Plating and Mokume Gane were fascinating to me and seemed surprising accessible. YES you will need special equipment, but if you are ready to really take your jewelry design to another level, this is an invaluable resource. "Beading With Crystals: 36 Simply Inspired Jewelry Designs"
Holy moley. What a lot of eye-candy! And guess what? It's good for anyone at pretty much any level! Some projects are very simple, and some involve more skill, but it's a fabulous book for any crystal and bling lover to have! This 142-page paperback book is beautiful and STUFFED with information. I found it easy to follow. The designs range from the wear-every-day to the opulent-night-out styles. Truly, something for everyone. Hard to give this one up! 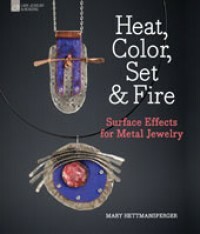 "Heat, Color, Set, & Fire: Surface Effects for Metal Jewelry"
Oh man. I totally had intended to keep this one. But I showed it in the collage above, so I'm sticking to my word and giving this AMAZING book away. Sniff, sniff. There are 21 unique projects, and they're all very cool. 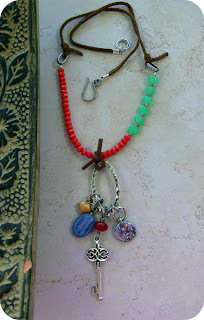 The first 51 pages are full of techniques and tips, so combine those two and you have a book you're going to be reaching for ALL the time to take your jewelry adventures all over the place. Oh I envy you! 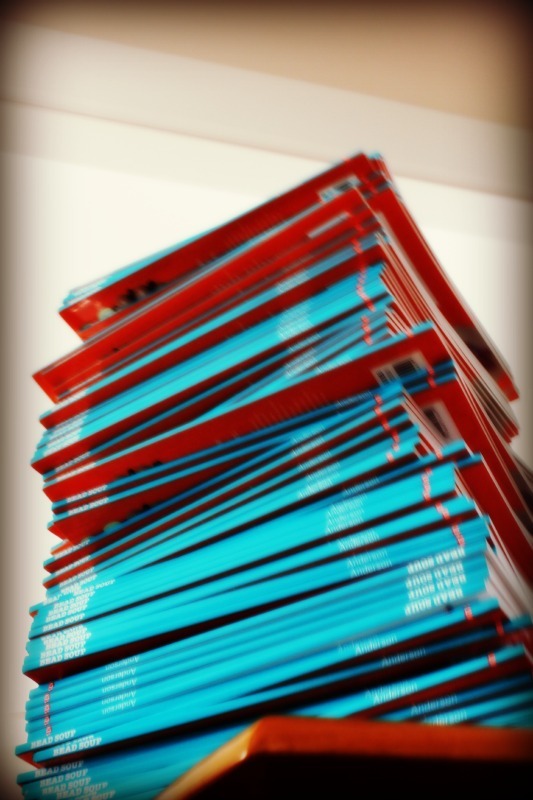 Here's how to win one of these books! if you would share in the shipping cost. This is a fast giveaway! Winners will be announced on Sunday, September 16th. More Lark Books to Give Away! The first round of the giveaway closes tomorrow, so hurry and click here to enter! Today I'm reviewing two more books to give away! 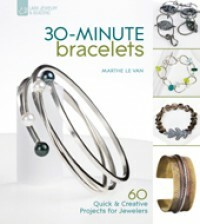 This 136-page paperback book contains a whopping 60 projects for bracelets. 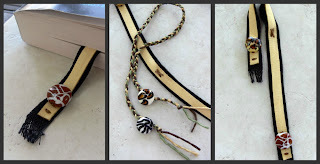 While most of the bracelets are made with metal, there are some in cut from leather, some are strung, and some use simple bead-weaving techniques. 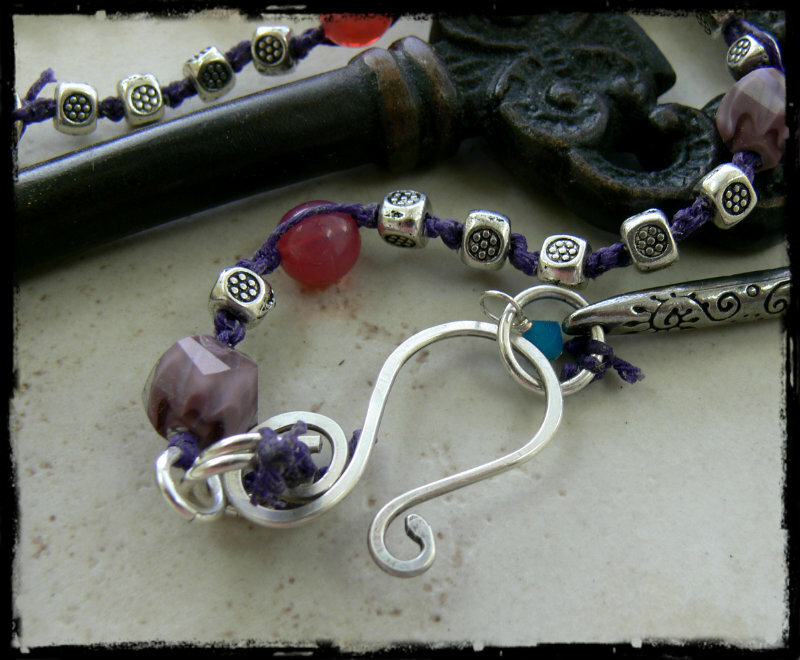 Each projects states clearly at the top of the page what you'll need to know in order to complete each bracelet. The projects are for the most part quite unique (one uses an antler tip, one uses sewing snaps) but here's my main problem, and it's a big one -- there are no step-by-step instructions. There are also NO instructions for any of the basic techniques, and there are a lot of techniques. Most jewelry designers will not have all the skill sets necessary, so I would use this book as a Look Book and a jumping-off point for your own creativity. 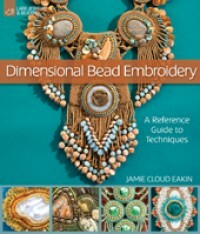 "Dimensional Bead Embroidery -- A Reference Guide to Techniques"
This 160-page hardback book is a gem for seed bead lovers! 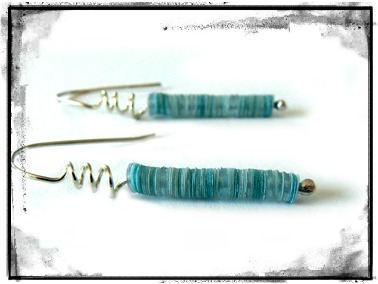 You'll learn surface stitches, bezel stitches, edge treatments, and attachments. Following these in-depth instructions, you'll find nine projects (including one for a brooch and one for a purse). The gallery is inspiring and gorgeous (as is the entire book). This book will appeal to all skill levels. After looking at this book, I think I may have to try some of this out! Winners will be announced on Friday, September 14th. 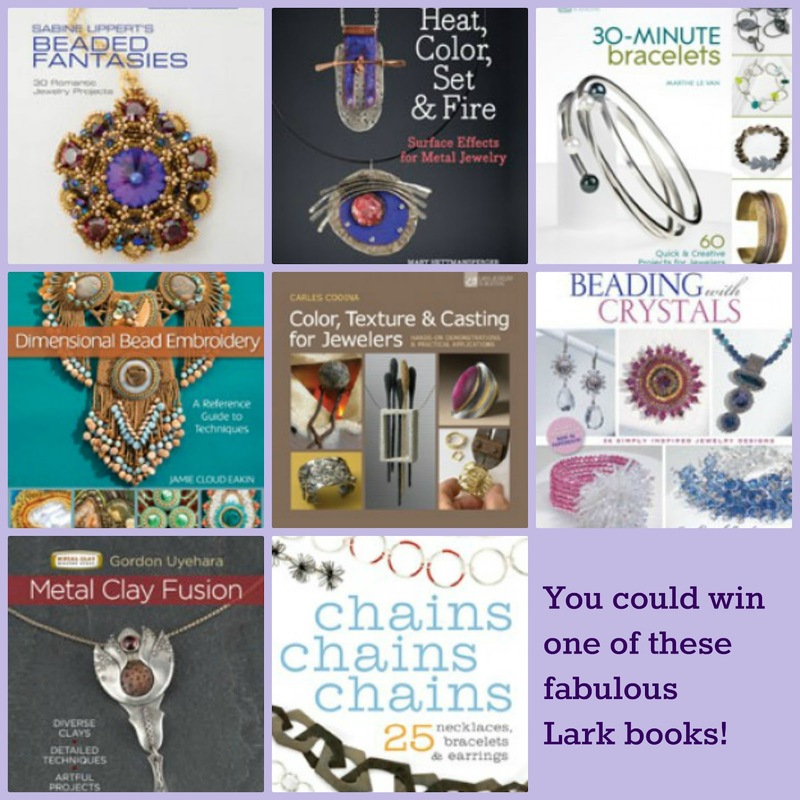 The Lark Book Giveaway starts! I've been given a bunch of Lark books to review, and throughout the next week or so, I'll be posting reviews and giving you the chance to win the book! There's literally something for everybody. Today I'm reviewing three books -- "Metal Clay Fusion", "Chains, Chains, Chains", and "Beaded Fantasies". Artful Projects (Metal Clay Master Class)"
This is a 144-page hardback book and it's chock full of gorgeous photos. It's hard not to get slowed down and first look at all the eye candy before getting into the meat of the book. I've just never seen metal clay like this before! It's like a trip through a museum -- true works of art. 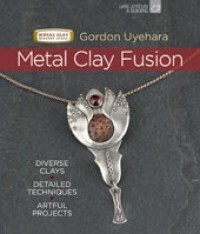 After a comprehensive overview on fundamentals and lessons on how to work with metal clay (there's even a page on getting your work into juried shows), you get 22 diverse and unique projects. 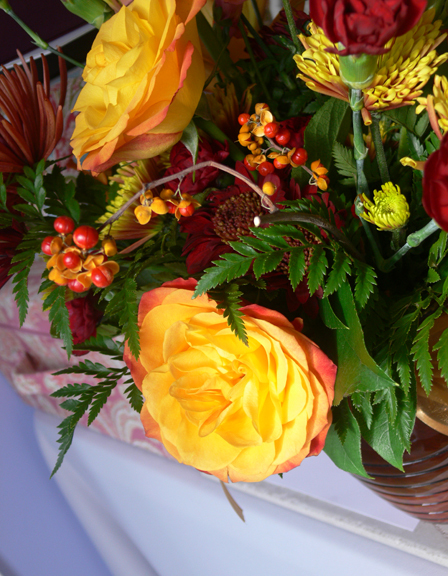 While some of the projects are intricate, there is honestly something for any skill level. And it's not just jewelry -- there is a project for making an earring stand and a beautiful spoon, among others. My favorite project -- the turtle. If anyone could make that for me, I'd be over the moon. This book is EXCELLENT on so many levels. I don't want to part with it but I'm going to so read on to learn how it can be yours. 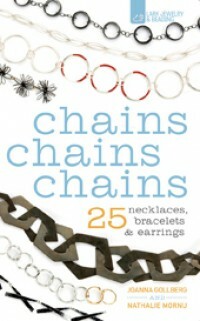 "Chains Chains Chains: 25 Necklaces, Bracelets, & Earrings"
I do love me some chain! This book paperback, 144-page book covers chain creations in depth and will give you a lot of food for creative thought. 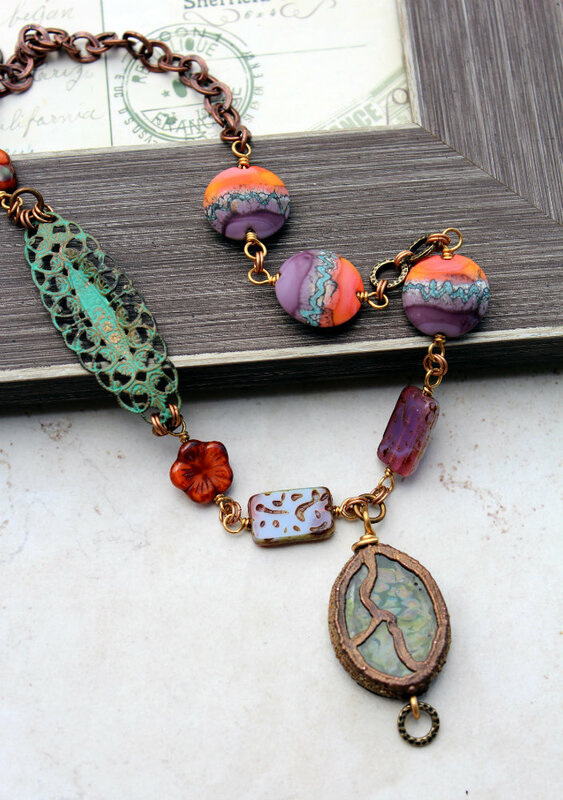 You'll learn how to make 25 distinctive chains using simple soldering. riveting, and wire techniques. There is a how-to in the back of the book, but this book is more for the intermediate to advanced designer. However, the techniques used to create these chains are not out of reach, so don't let that stop you from learning a new skill! This is TRULY a unique book, and again, I love it, but I'm going to pass it on to you. Keep reading, there's one more book today! 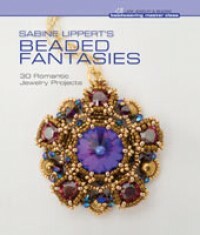 "Sabine Lippert's Beaded Fantasies -- 30 Romantic Projects"
This 144-page hardback book is another beauty. 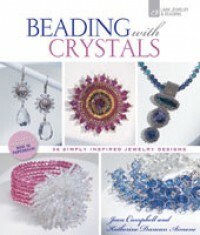 I've always been in awe of what seed beaders can do, and this book will feed the hunger for new styles. And she's not kidding -- all of the projects are romantic and elegant and opulent. From what little I've done with seed beading (i.e., one project) this book looks like it will appeal to all levels. There are certainly a variety of levels of projects! The gallery is GORGEOUS, and again -- I'd love to keep this book, but now it can be yours! Winners will be announced on Tuesday, September 11th. 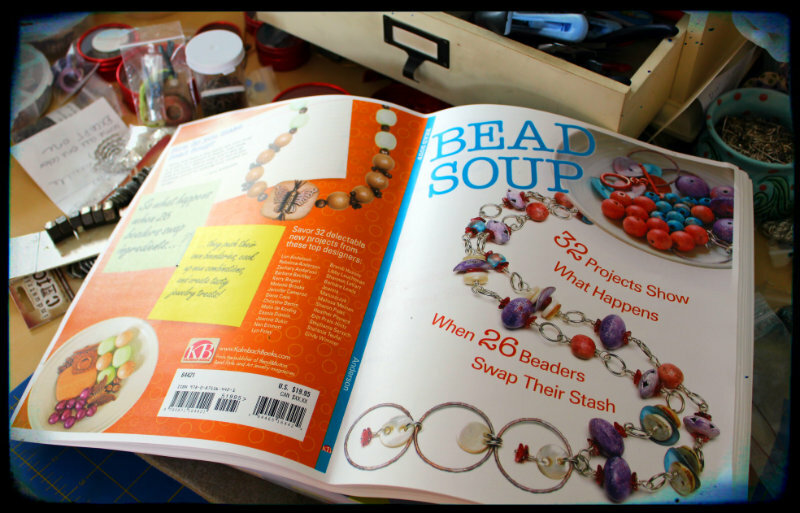 My copy of the Bead Soup book arrived today! And while I'm super-excited, I need to fix a few things which, in publishing terms, are called errata and I in human terms call things that can't be mentioned in mixed company. As many times as a person looks over a manuscript, and no matter how many sets of eyes look at something (and there were many, many eyes on this book), mistakes get made. I want to publicly apologize for those right now. On page 55, Nan Emmett's name is misspelled (she's missing a "t"). It's spelled correctly elsewhere, but not here. with beads sent to her from Amy Freeland. and it was made during the 4th Bead Soup Blog Party. I couldn't be more sorry for the errors, but I hope you will still enjoy the book! the contributors don't know yet what their partners made? 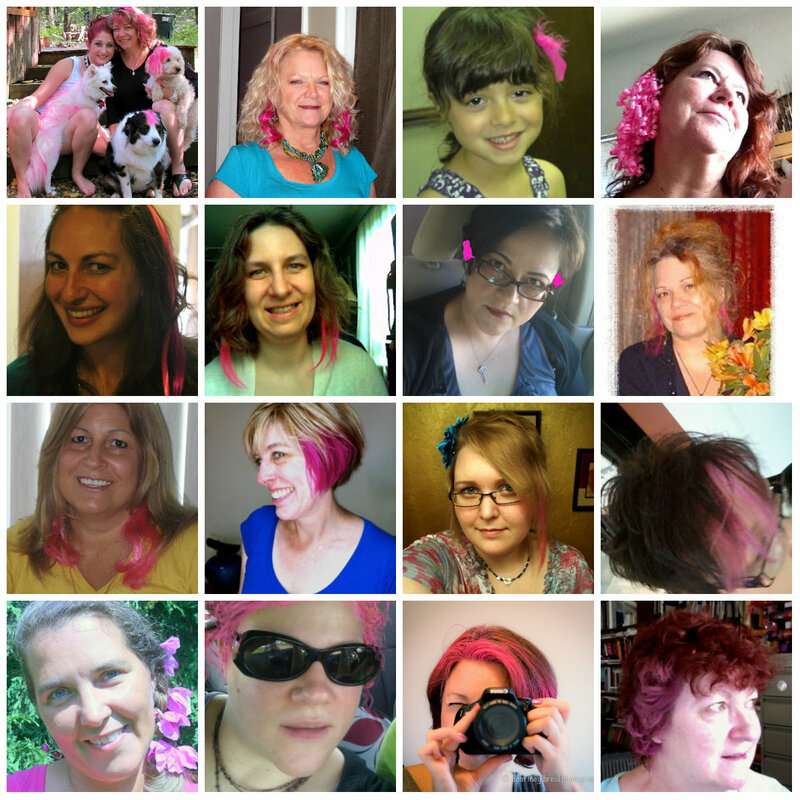 Total secret, just like a blog hop reveal! and my box of books will be here around then, too! So if you pre-ordered a book, you don't have long to wait! And there's still time to order -- the button is to the right!